This particle system was made up of three different emitters. One emitter controls the sacral symbol shape, another controls the dotted ring that shrinks in towards the center, and the third controls the “bubbles” that float upward from the center. Each emitter uses a custom material to give it a unique appearance. 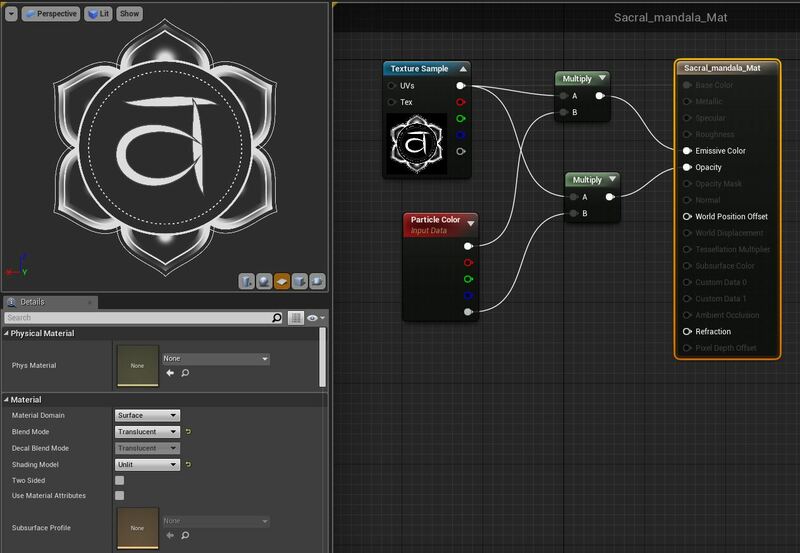 This material is selected in the “Required” node for each emitter. (see video).